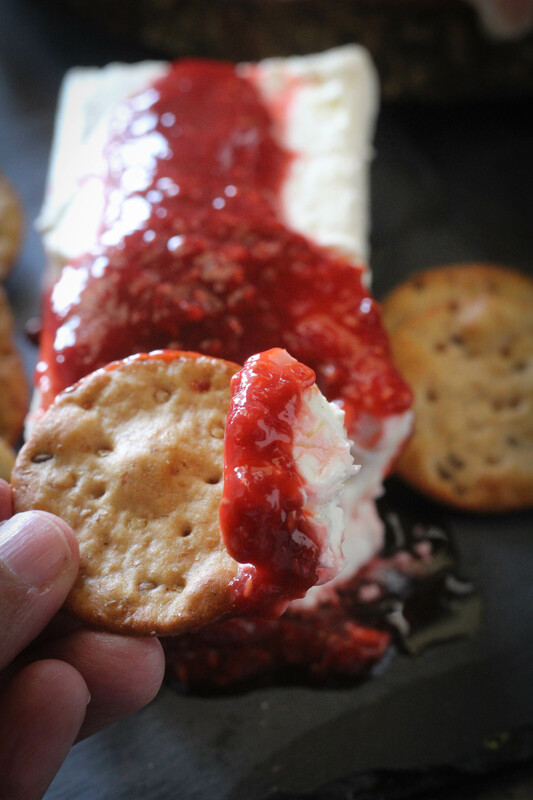 This Spicy Chipotle Raspberry Sauce is so simple to make. 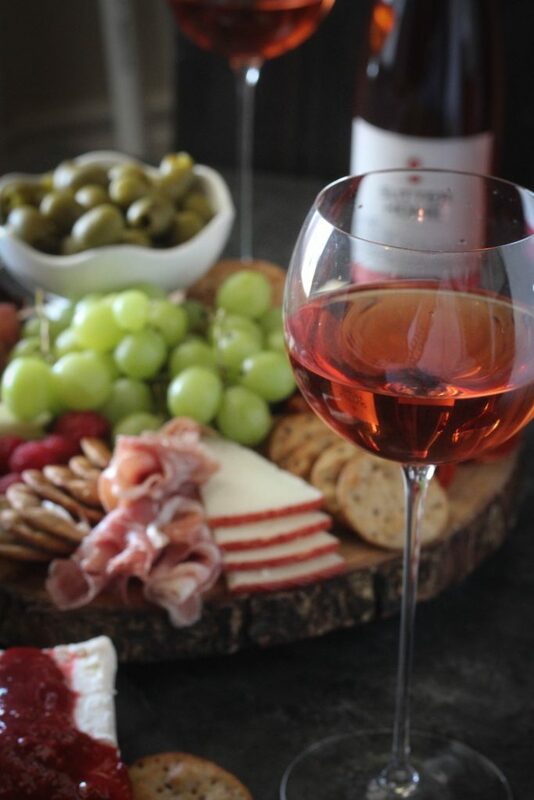 In under 15 minutes you will have a spread of your favorite Spanish cheeses, meats and fruits arranged and ready to pair with sweet Sutter Home varietals. Perfect for summer patio living! Now that summer weather is here to stay, all I can think about is patio entertaining. I love having friends over to sit out on the patio and grill or hang out by the pool. Whenever I have friends or family over, of course I have to serve them food. But it is too dang hot outside to want to cook anything for long so charcuterie boards have become my go-to entertainment special. I’ve been following some travel Instagram accounts lately and so many of these folks have been traveling to Spain. Having family originally from there somewhere down the line, (hello Oviedo is a town in Spain! ), I try to indulge my latin taste buds whenever I can. 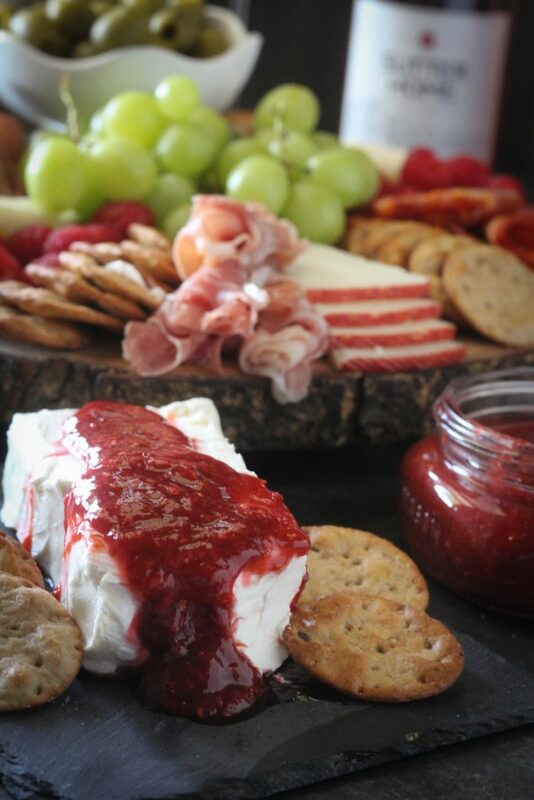 A charcuterie board is the perfect time to do just that. 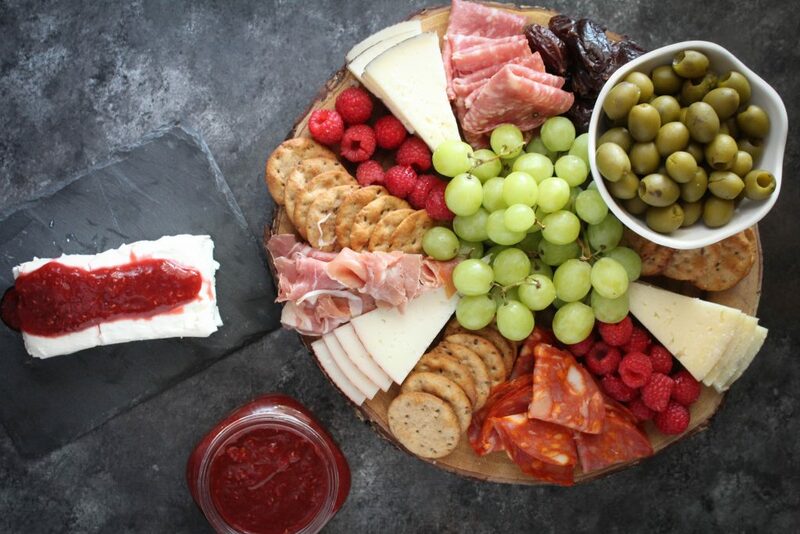 Spanish meats and cheeses are so flavorful and it is so easy to put a charcuterie board together using these small bites. For this board I put together over the weekend to kick off summer, I wanted to add a little spicy flavor to it. Softened cream cheese with sauce on top is one of my go-to appetizers (thanks cousin Yolanda) so that is what I went with as an accompaniment to this board. 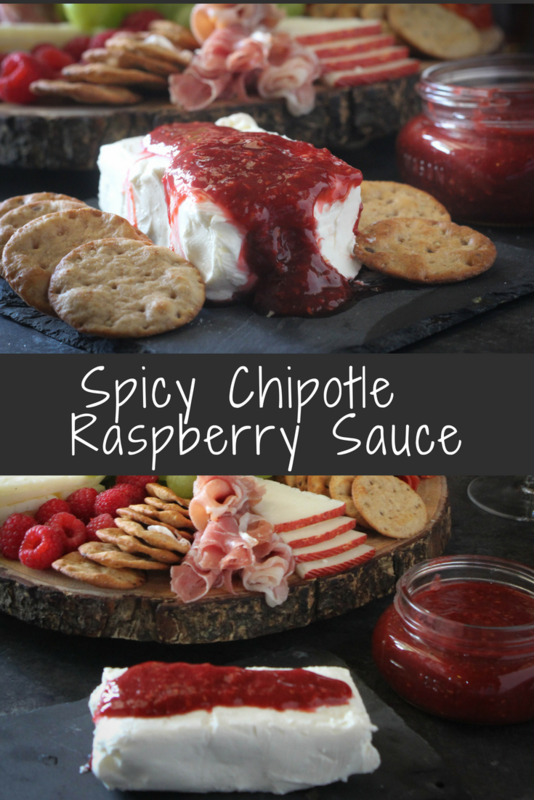 This spicy Chipotle Raspberry Sauce is easy to put together and you can make it as spicy as you can handle. Spicy foods pair so well with the sweet wines from Sutter Home. Since I took my first drink, I have been a fan of sweet drinks. Sure I’ll drink other things as well but sweet is always my go-to celebratory drink. It hasn’t been until the last few years though that I’ve indulged the spicy side of food. I’m so glad I gave this combo a try because it is a match made in heaven. The chipotle gives the Raspberry sauce a hint of spicy and you can increase that spiciness by adding more chipotle peppers. Pro tip: Freeze any leftover chipotle peppers in an ice tray then place in a freezer bag to save leftovers for future use. For the charcuterie board, I bought Spanish cheeses and meats (they came in tapas packs ~ score! ), fruits, olives, and crackers. 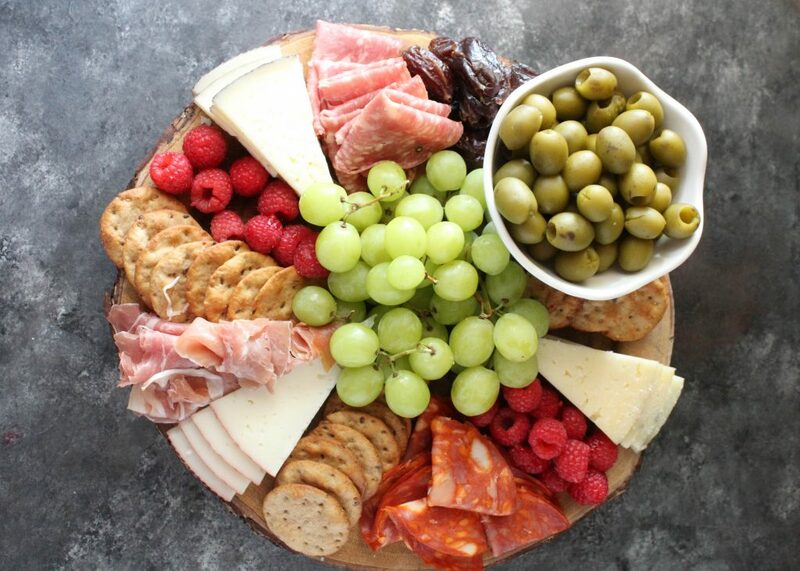 Just arrange them on your favorite board grouping crackers with the cheese and meats. It’s that simple. Then make this Chipotle Raspberry Sauce, grab your favorite wine glasses, your Sutter Home varietals and you are set for a relaxing time with friends and family. 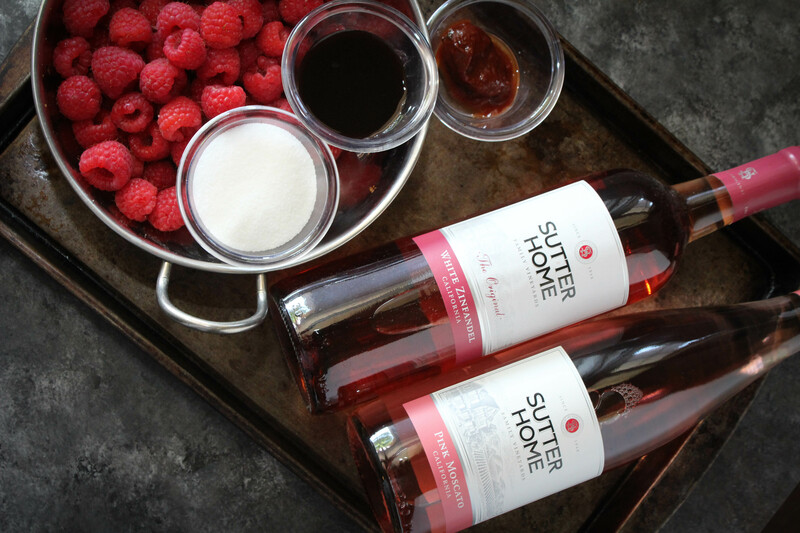 I always have Sutter Home varietals on hand – either in small individual bottles, regular bottles or larger size packaging. I love that since 1948, Sutter Home has been giving us award-winning California wines at really affordable prices. And when I say award-winning, they have received over 400 gold medals! It’s the perfect quality product to bring family and friends together without spending a lot. 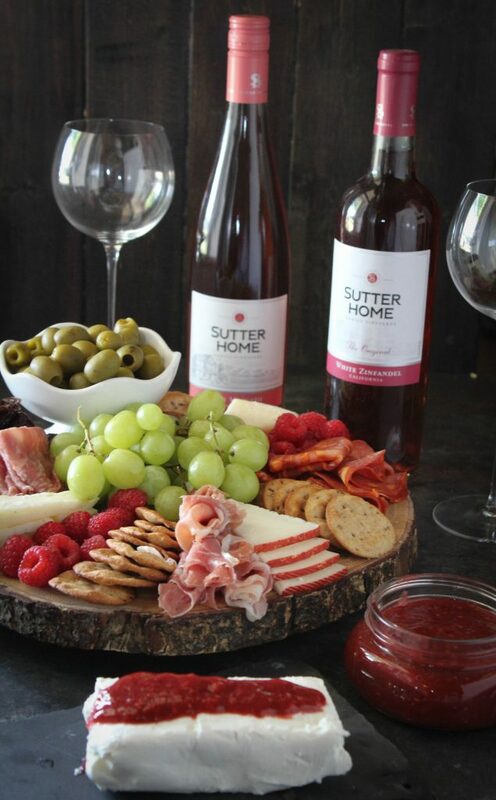 Be sure and visit the Sutter Home website to get information about the different varietals Sutter Home has and to see wine pairings and recipe inspirations. 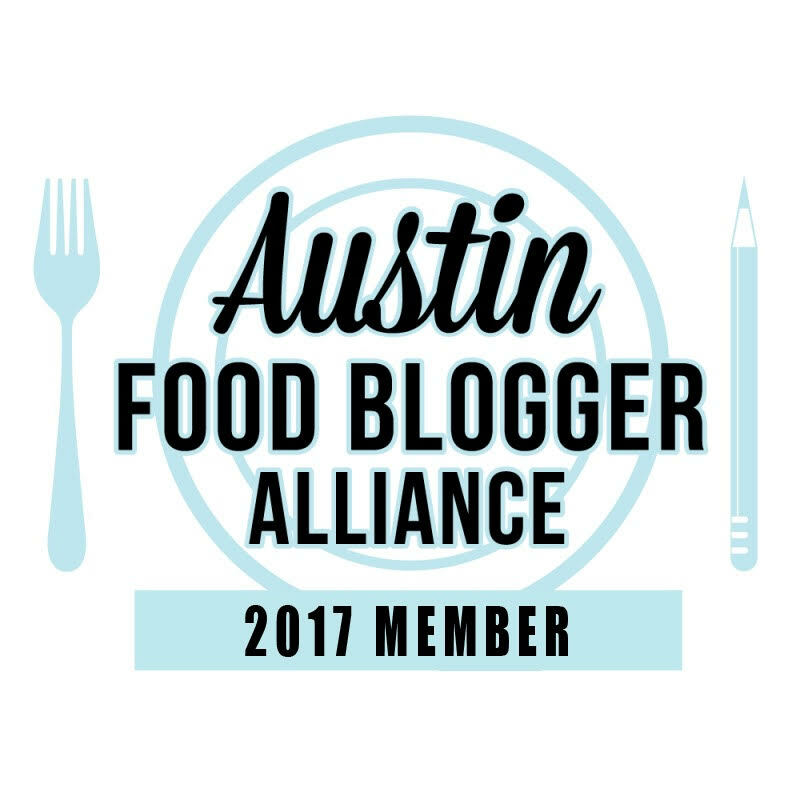 You can also check them out on Facebook, Youtube, Pinterest, Instagram and Twitter to be inspired! Add all raspberries, sugar and balsamic vinegar to a medium saucepan. Cook over medium heat until sugar dissolves. Add cornstarch and mix together until no lumps remain. Let cool for 5 minutes then use an immersion blender to blend. 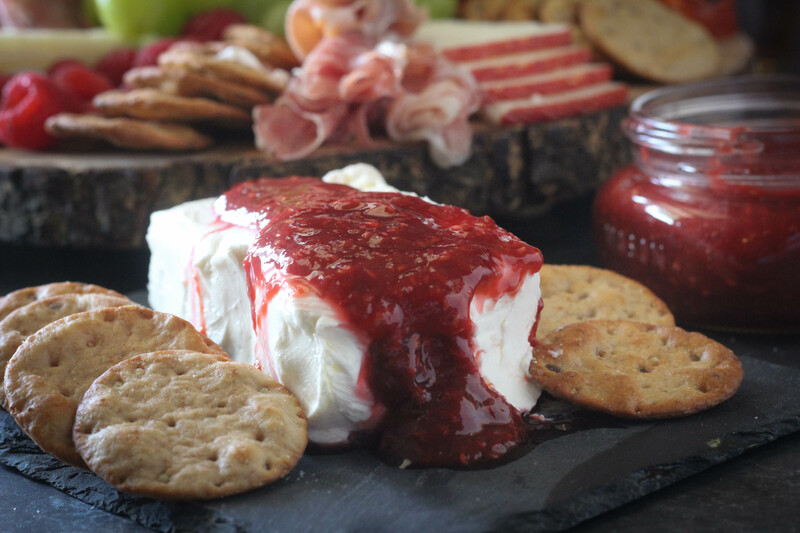 Pour over softened cream cheese. There will be a lot of sauce but any leftover can be used on just about anything.